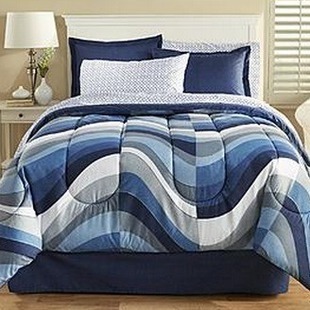 411 Freebies And More: Complete Bed Sets from $25! Complete Bed Sets from $25! These Essential Home Complete Bed Sets drop to $24.99 in twin & full and to $29.99 for queen and king at Kmart.com. These drop from as much as $59.99. Shipping starts at $5.75 or is free with in store pick up. There are over 10 colors/designs to pick from, including the pictured Essential Home Complete Pure Bed Set. This set includes a comforter, bedskirt, sheets, pillow cases and shams. Sales tax is charged in most states.